I can already see a strong bond forming between my husband and the children as he shares this passion of his. It’s a special thing, and I know the children will have many wonderful memories from the times spent with their Dad. I look for ways to link toys to real life experiences. For example, pulling out the plastic animal figurines after a trip to the zoo and linking my husband’s love for trains with play at home. In this way, I hope our family can connect the dots as we live life, leading to using products for their value, rather than purely for their existence. Thomas the Tank Engine toys are wonderful for open ended play which allows my son to incorporate his own imagination as he plays. I was fascinated as I watched him play for a few minutes (which is something I don’t do often enough!). When Nuffnang told me about the search for Australia’s Little Trackmaster, I thought it would be a fun opportunity to incorporate into an activity with my son. We set the track up and enjoyed watching him play. Then my son tried the Thomas’ Trackmaster Tongue Twister. HA! We had a few giggles along the way, I can tell you. 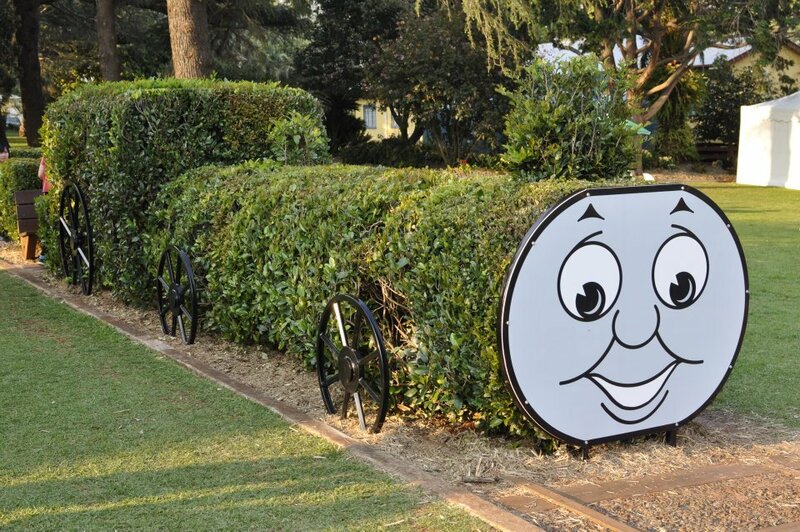 Thomas the Tank Engine is looking for Australia’s LittleTrackmaster. The idea is to video your child saying (or trying to say) the Thomas’s Trackmaster tongue twister below. To celebrate the search for Australia’s Trackmaster, I’m giving away a Thomas the Tank Engine Train Set. To enter, simply leave a message in the comments (below) about a train experience you’ve had with your family (or one you would like to have). 2. Entries will be judged on creativity. 3. Open 27 September to 5 October 2011. 4. Winner will be notified by email. If the winner does not reply within 48 hours, the prize will be redrawn. Next Post Do Boys and Girls Play Differently? Oh my, my son would love love love this! He’s been obsessed with Thomas for over a year! (Longest obsession ever, considering he’s only 2!) We haven’t had a train experience yet, but hubby was suggesting the other day that one of our holiday experiences should be the Richmond Vale Railway! Last year we went to a Thomas the Tank Day and saw Thomas and Edward and had a ride on Toby! My girls loved it and my eldest girl loved the fact that we were riding on Toby and that she could stick her head out the window and watch where we were going. Loved every second of it! O plays for hours, Thomas trains are a blast!! my son is somewhat obsessed with trains. Every blue train he sees is Thomas. We usually take fortnightly trainrides just to see his face light up. Our love of trains started when we first moved to QLD 8 years ago. My son had to visit the Mater hospital twice a week and we would go by train. At the train station there was a train shop and we would always go after to look at the awesome collection before we went home. Now my youngest (4) is train obsessed and even though my friends find it strange we have been known to catch a train to ‘somewhere’ and back home again just for the thrill of riding in a train. When my son was born we lived right next to a train line, and so many a night we would stand outside and watch the trains go by (they were quieter than his cries at first, and eventually distracted him). 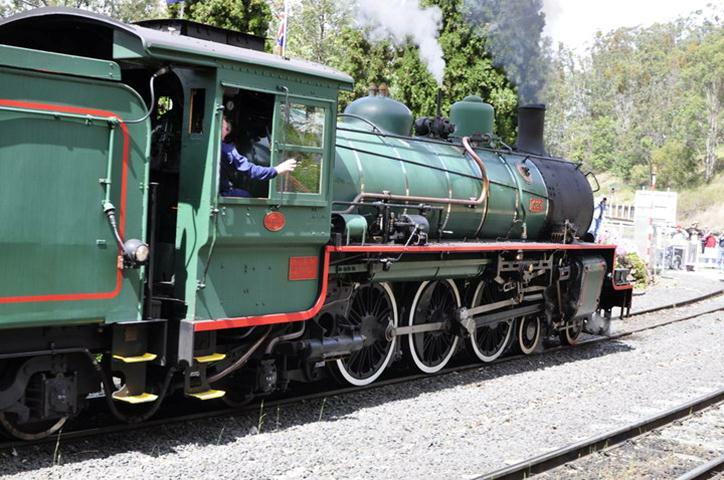 We now spend many a weekend at Mooroduc Railway riding the steam train. And the best treat of all for both mr 3 and Miss 2 is to go for a ride on a train (just one stop) to the park. We have had a lot of train adventures but the one that really stcks out was on the V-Line from Melbourne to Ballaratt. Little one was so excited to go on a REALLY FAST train but she fell asleep even before we left Melbourne station. She then slept the entire way to Ballaratt, we put her in the car…drove her to our accomodation and she didn’t move until 8am next morning. When she did wake up, the first thing she asked was “when does the FAST train leave” ? Needless to say, we had to do it all over again and this time she only slept for 1/2 of the way. We’re lucky where we live is within a 20 minute drive to Puffing Billy. Every year we’re blessed to be able to ride on it free of charge (with 4 kids I’m grateful) thanks to the CFA group we are involved with. I went with my boyfriend and his family, my dearest friends, to Cairns, where we took a train trip up to Kuranda. The smile on my friends’ sons face was priceless as the train went around all the bends in the track, straight past a roaring waterfall, through the blackest of tunnels. We stopped briefly at a gorge where we watching the water tumbling through the rocks below us. An old train, without air conditioning, on an amazing route up the mountains with spectacular views of Cairns below and surrounded by nature. A beautiful trip that made us smile, especially the young ones! I would love this for my son. He has never been on a train as we live in Darwin and the only train we have is the Ghan. 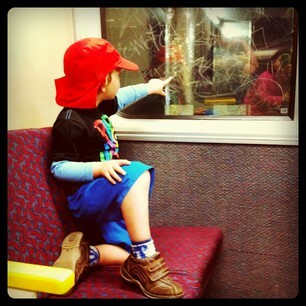 But one day I would love to take him on the Ghan and show him how fun riding on trains can be. We’ve had a few train trips over the years, but just recently (and I mean recently, like last Saturday!! 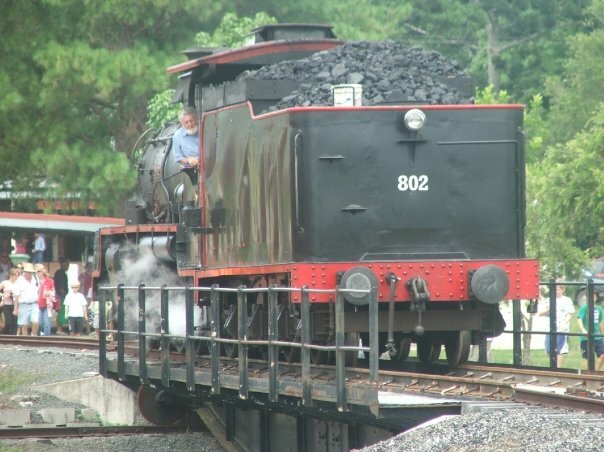 ), we were lucky enough to ride the only wood-steam engine left in the world – The North Borneo Railway. We are currently on holidays in Malaysia Borneo, and it wouldn’t be a true family holiday without a ride on the iconic railway. The carriages are in a true Brittish Colonial style, with breakfast and lunch served, while you ride south through some Sabah jungle. Both boys had a great time, sitting with heads out the windows, searching for water buffaloes, and even enjoying a bit of the steamy smell of the engine. What a great addition to our Borneo Jungle holiday! 2. Last night I crawled into bed with my little trackmaster after he had a nightmare and he said “Mummy, I love you more than playing trains.” I can’t top that playing trains is his absolute favourite thing… After me! My boys are Thomas MAD. They would LOVE this. Particularly my autistic son who learned his numbers and colors from the different engines. We found an old engine to play on at Kadina in SA when we were holidaying from NSW once. He spent hours on it. We took the Country Link train to Sydney a few days ago & my son spotted track stickers on the concourse that he recognised. While I was busy looking at timetables, he had discovered a separate room which had some engine displays and had scored himself and his brother a City Rail Thomas safety activity book. Most of our teachings on manners and behaviours revolve around not being like Stanley or Diesel 10. Chont, I had to giggle at your last line. Love it! My youngest (now 7) is a train spotter in the making. We have a huge collection of old train magazines (easy to find for bargain prices at 2nd hand bookshops) and an insanely large collection of train books. Seriously. It takes up a third of the kids bookshelf space. 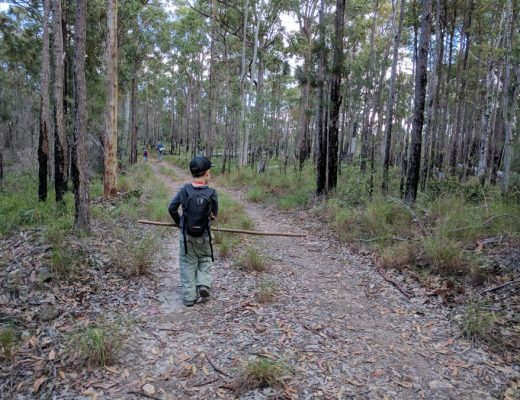 The annual Steamfest celebration at Maitland is usually held within a week or two of his birthday, so we dutifully head out to Maitland each year as part of his birthday gift. I’ve lost count of the train-related outings we’ve been on. Gorgeous :). Our family (my hubby, me, our two girls aged 3 & 19 months) love taking trips on the Swanbank Steam Train: a ride full of rattly, clackety-clacky, whistly, soot-in-your-hair sensory goodness. Would be such a joy to replicate this in their play time with a train set all their own :). 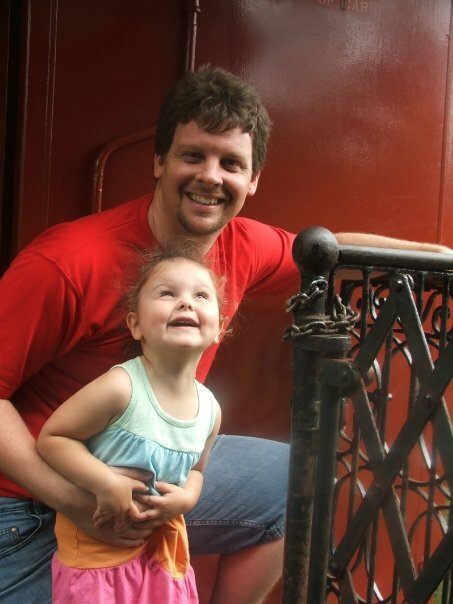 I used to work for QR and hope to give my young child experiences of catching different types of trains. It seems its they’re only thing on the brain. Anything less would be Mummy’s epic fail. My little boys had an absolute ball! Their obsession with trains just wont quit. Am suspecting their little sister will be train mad too. Trains seem to be their waking thoughts. I’d be the best mum- thats a sure bet! where he has lots of toys to play with on the train. where he can eat lots of chocolates. he can play with them and have lots of fun. We are hoping to take our kids on the valley rattler in gympie, being on the sunshine coast it’s not really that far from us! I took my 5 year old son to The Workshop Rail Museum on the weekend. We had the best day Seeing all the old trains and getting to sit inside them, Looking at my sons face light up when he seen the huge model railway was awesome. We played in the play ground and then my son played cops and robbers with the other kids. We are looking forward to going and seeing thomas the tank engine soon. Love the ways you incorporate your husbands passion into family experiences. This weekend the train museum at Port Adelaide has free entry as part of The Port Festival. Mummy has a stall at the artist market so I’m ‘hoping’ daddy will take advantage of the free entry and take bub to the train museum for a train ride for special daddy and bub time. 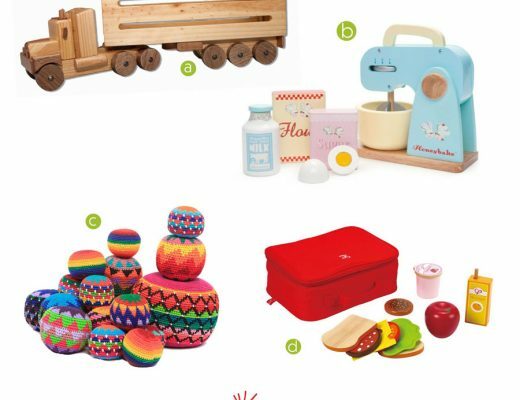 We are trying to give our daughter mixed gender toys so that she can experience all kinds of things and a Thomas the Tank Engine train set would be perfect! We went on a train in Norway through the fjords! It was a wonderfully scenic trip, marred only by giggle-worthy ‘Nordic folk take’ interpretation in the middle of a waterfall. It was like a bad Norska ad and something we still laugh about. Trains are something that children look at in wonder and this goes for both boys ands girls. My eldest daughter loves trains and we have a little talking light up Thomas that fits in her little hand and it provides so much fun for her, lucky Santa knows that girls like trains too. We want to go to a local miniature train ride that I think she will love…just have to schedule in a date with Sparky when he is not working. I think a train ride into the city would be something she would love too…maybe at Christmas to see the big Christmas Tree. My almost-2 son has just discovered Thomas, and we’re having so much fun introducing him to the world of Thomas! He likes Thomas, Harold and Bertie… such a boy! I can’t wait to take him on the steam engine an hour from here in a couple of months time.